For my first post, I will share something that I made for the Fourth of July. I have been taking pictures of my food for several months now, since I have known I wanted to start a blog. Now that I have finally gotten started blogging, I will be updating the blog with my previous creations as well as staying up to date with my current posts. For the Fourth of July, we go to my Auntie Pats house for a big outdoor party. 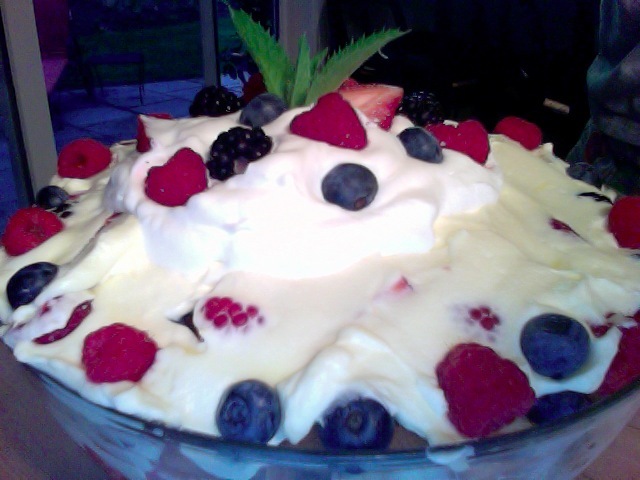 The food was all so delicious, but in our family no matter how full you are from dinner, everyone always has room for dessert! 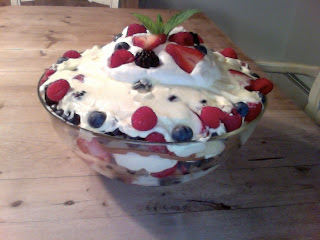 This year I decided to make a trifle, which is a traditional English layered dessert. 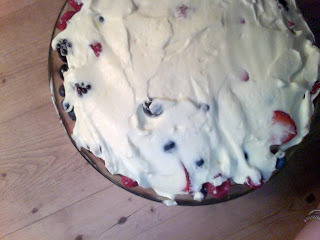 This salute to our old mother country consisted of layers of raspberries, blueberries, strawberries, blackberries, pound cake with a vanilla lemon zest custard and whipped cream. Thank you to the men and women serving our country!! 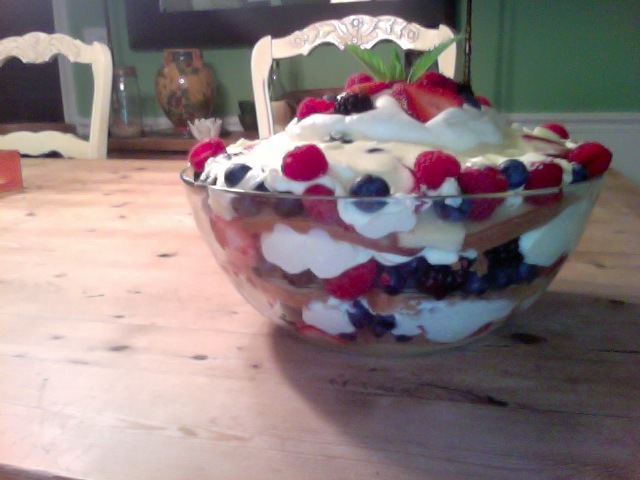 Hope you had a great 4th! !